With a title like this one you might wonder what sort of a book this is. 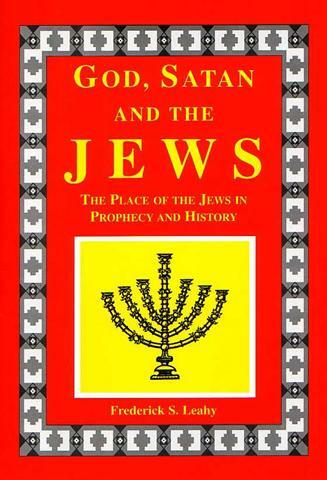 Perhaps it’s one of those wildly speculative books that links together the Jews with some bizarre end times prophecies. Not from the late Professor Leahy it isn’t. He was a man renowned for basing his thinking securely on what God had revealed, rather than on what we might speculate. Instead this book is a safe introduction to, as the subtitle puts it, “The place of the Jews in Prophecy and History.” Perhaps you aren’t really sure what the Bible teaches about the Jews now that Jesus has come. Perhaps you’re wondering “What place is there for them in God’s plan?”. If you’re not sure how to answer – then this is the place to start. In typical concise fashion Prof Leahy lays out the basic teaching of scripture on the place of the Jews. It is a brief book, but it will answer many questions. Not only does he model careful biblical thought, but also he displays a tenderness and love for the Jewish people that we should learn from.